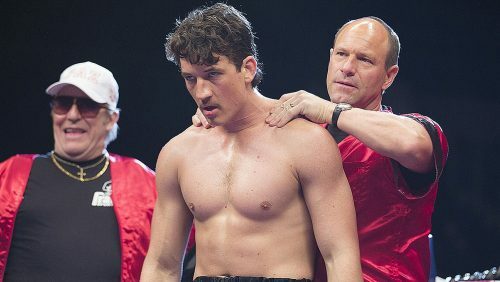 An inspirational story, Bleed for This, based on read events. What does it take to get back from a near catastrophic car accident to return to the ring and win again. All that and in under a year! BLEED FOR THIS is based on the incredible true story of Vinny Pazienza, one of few American boxers to hold world titles in three different weight categories, who suffered a near-fatal car accident at the peak of his career. Told he would never walk again, Vinny spent months recovering in a neck brace until, against doctors’ orders and without their knowledge, he returned to the gym. With the support of trainer Kevin Rooney, “The Pazmanian Devil” made a triumphant return to the ring just over a year later.